With all the professional quality skin care products on the market today, it is easy to get overwhelmed. Before you invest in these products, it's essential that you find out which ones do what they promise to do. Understanding what makes professional products different and which product lines offer the most benefit can help you provide the best care possible for your skin. There are many professional skin care lines, but these are five of the most respected. All have targeted products for many skin conditions. SkinCeuticals was founded almost 20 years ago with the dedication to developing skincare that is backed by science to achieve and maintain healthy skin. SkinCeuticals products are created by a network of scientists from the fields of cellular and molecular biology, chemistry, biophysics, and medicine. They believe that an effective daily skin care regimen must contain three fundamental elements: prevention, protection, and correction. All the products contain pure, pharmaceutical-grade ingredients at optimal concentrations. SkinCeuticals is also a partner in the Melanoma Research Alliance whose mission is to discover a cure for melanoma. Cindy Alley, aesthetician and owner of Neu Aesthetics Skin Care Clinic, recommends the brand to her clients concerned with aging. 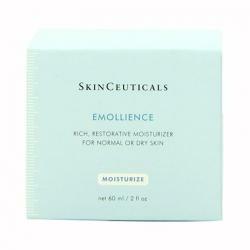 "SkinCeuticals is one of the top skin care lines for aging skin," she says. SkinCeuticals is available through licensed aestheticians and doctors. Brandith Irwin, a dermatologist in Seattle, listed several SkinCeutical products in her article on the top products of 2014. PCA Skin Care was founded over 20 years ago as Physician's Choice of Arizona, Inc. by an aesthetician who worked with physicians. The company believes healthy skin is beautiful, and skin care should consistently deliver safe, effective results without irritation. PCA is a healthcare company that has researched the science of healthy skin and scientifically formulates products to treat a wide variety of skin conditions, including hyperpigmentation and sensitive skin. 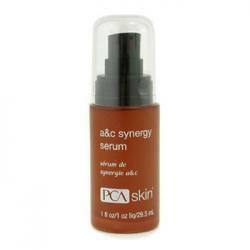 The PCA line is gentle yet highly effective in both their professional products and daily skin care products. "The difference between professional products like PCA and what is in the stores is the ingredients," says Alley, who uses PCA professional products and recommends the daily skin care products to her adult and adolescent clients. "What stores carry are full of chemicals and oils that can irritate skin. PCA does not have oils, perfumes, or synthetics." PCA Skin Care is formulated to target and treat specific skin conditions and is only available through doctors and aestheticians. Using the combination of professional in-office treatments as well as the daily skin care products speeds the visible, proven results. 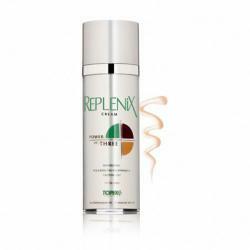 Replenix is a professional line manufactured by Topix Pharmaceuticals which was founded in 1981. It is a small line of products marketed in kits that are high-end, non-prescription formulas. These products are specially formulated with green tea polyphenols, the most potent antioxidant known. It has been shown to reduce damage from sun exposure. In a review of Replenix, Dr. Craig Kraffert, a dermatologist and founder of Dermstore.com, commented that Replenix is a well regarded skin care line. According to The Dermatology Review, Replenix is available through online stores such as Dermstore.com and has won numerous awards. Manufactured by Swiss American Products, Inc., EltaMD offers more than 25 years of experience in wound healing, sunscreens, and skin care products that have been used by medical professionals and burn centers. EltaMD uses this medical science background to create products that restore, protect, and maintain healthy skin. Targeted skin care products make up this product line. 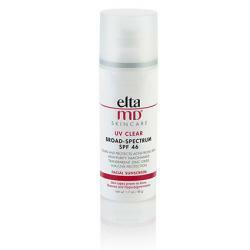 EltaMD offers sunscreens that are water resistant, oil free, and have an SPF of 30 and higher. They also offer a sunscreen for sensitive skin. In a review of EltaMD, Dr. Kraffert comments that they have a reputation for quality sunscreen and are expanding into complementary products. The product line is available through doctors and professionals only. Dermalogica is a professional line not interested in being pretty, pampering, or luxurious -- only in providing optimum skin health through quality ingredients. Founded by an aesthetician nearly 30 years ago, Dermalogica's vision is to produce a skin care line free of common irritants and ingredients that could cause breakouts (such as lanolin, SD alcohol, mineral oil, dyes, and fragrances). While products are sold individually, Dermalogica works more effectively when used as a system. Dermalogica is available at Dermstore.com, where reviewers tout it as a world leader in professional skin care, and through qualified skin care professionals who have been trained at the International Dermal Institute in product knowledge and skin mapping. Skin mapping allows for a more effective regimen as it shows what needs to be addressed. What Makes Professional Products Different? You can buy drugstore brands for a fraction of the cost of professional products, but there are some important reasons these pricier options may be better. Many brands that you can find in stores contain oils, perfumes, and irritants such as lanolin, parabens, and alcohol -- chemicals that can cause sensitive skin and skin conditions like acne and rosacea to flare. Professional skin care products are made without harsh ingredients and are backed by scientific research. According to Alley, one of those major differences is the addition of sunscreen to many professional products. "Sunscreens are an important part of daily skin care to prevent skin cancer," she says. These professional skin care brands, while pricey to start, are cost effective in the long run. A little goes a long way as the saying goes. Sensitization comes from harsh ingredients that dry and irritate the skin. Because of the research that goes into their formulation, professional skin care products are more effective in maintaining optimal skin health and treating skin conditions than what is found in drugstores and department stores. When in doubt, see a skin care professional to determine which products will work best.